One of the most important aspects of owning a car is maintaining it in order to get the most out of your investment. KIA makes reliable vehicles, but that doesn’t mean they don’t require regular routine maintenance to keep up with the wear and tear that comes from daily driving. That’s where our Flowood KIA service center comes in. We have the service experts and advanced tools to handle all of your service and repair needs. We know you have a busy schedule and keeping up with routine maintenance may not be at the top of your to-do list. That’s why we keep extensive hours that make it easy for you to get quality KIA service in Flowood so that you can get the oil change, tire rotation, or brake inspection that your vehicle really needs on a regular basis. If you are experiencing more serious trouble with your vehicle, then our service technicians have the skills and tools to diagnose any issues and get your vehicle working properly again. They have plenty of experience when it comes to both routine service and serious auto repairs, and can perform them in a timely manner that doesn’t cause a big disruption in your day. 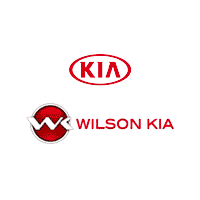 Schedule a service appointment at Wilson KIA today by giving us a call at 601-914-4270. Don’t drive around with misaligned wheels. Read more to see how our well-trained technicians can help get your ride back on track. Be sure to keep an eye on your car battery, as it is what keeps your car running. Click here to read more about how we can help. Brakes are nothing to mess around with. Click here to learn about how we can help you with all of your brake needs. Your vehicle’s muffler is an extremely important factor in the performance of your KIA. Click here and see how we can help with all of your muffler problems. Oil changes are extremely important to your vehicle’s health. Be sure to read more to learn about what makes oil changes so vital. Be sure to constantly check on your tires, as they are one of your car’s greatest safety features. Read on to learn how important tire service can be. Wiper blades are what keep your window to the road clear of debris and dirt, so it is important to take care of them. Read more to see how we can help keep your windshield debris-free.